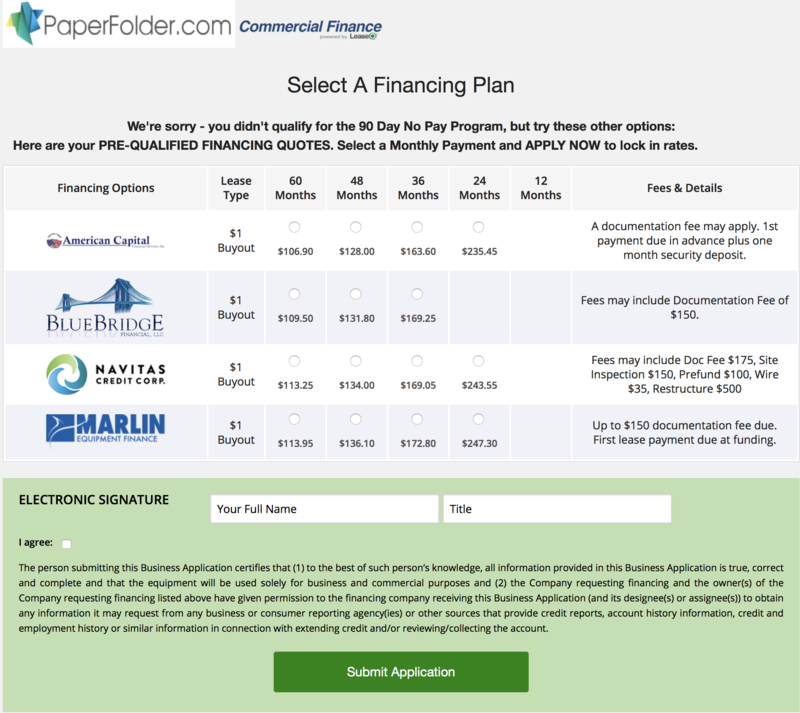 Financing Machines from The PaperFolder Co. In a hurry? Click GET FINANCING. Or read about it first. Filling out an application literally takes minutes as shown below. 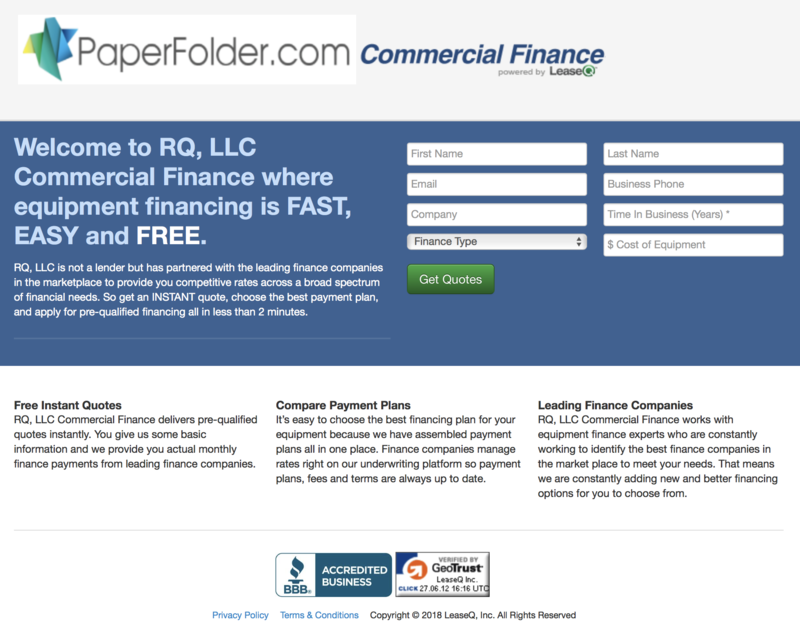 You will receive an immediate response from a number of financial companies with actual pricing. You can start this process with or without a quote. However, we recommend getting a quote first. You will need it to complete the application. 3. 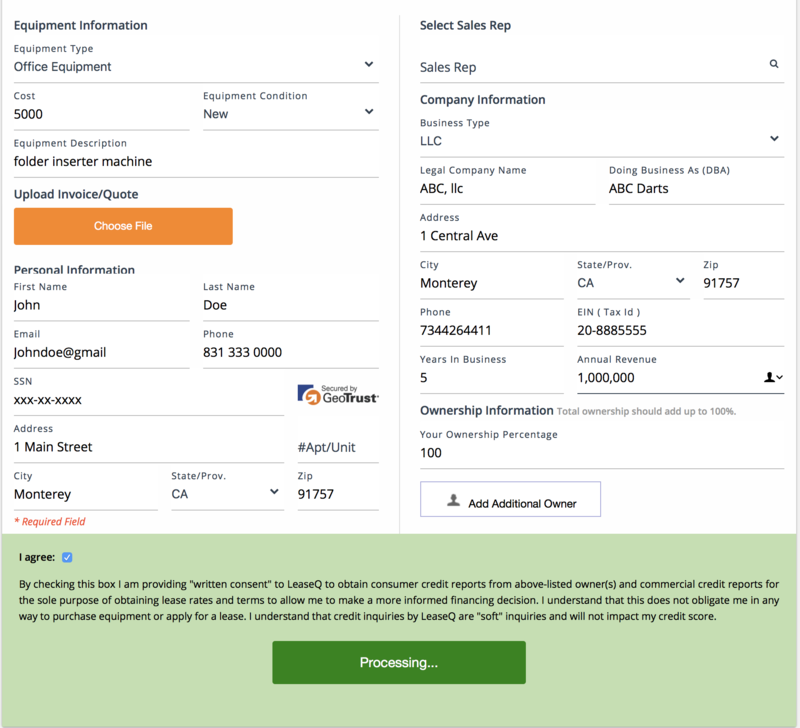 Within a minute or so, you will see your pre-qualified offers based upon the info you have provided. 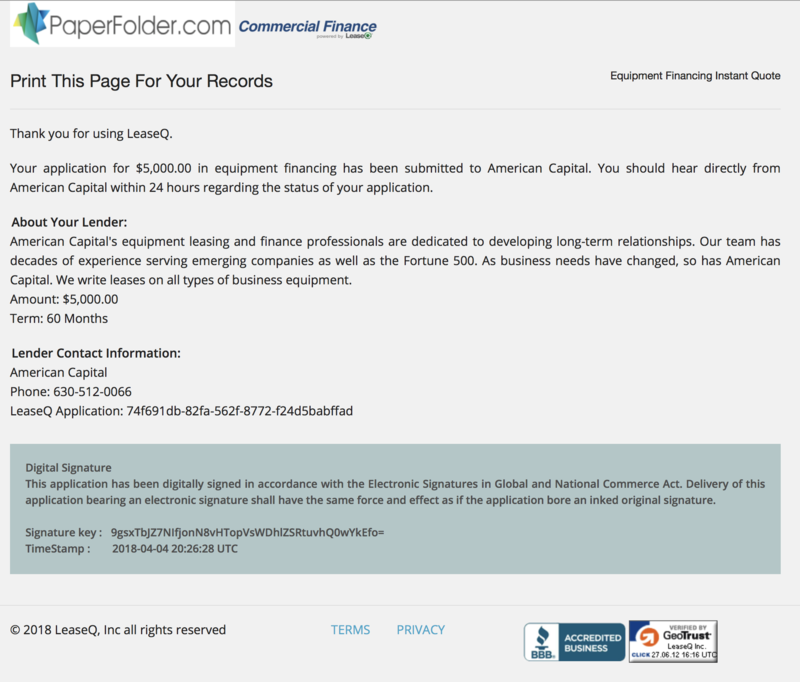 This is an example of an application in the amount of $5,000. Rates vary by amount, time in business (if applicable) and credit history. That's it! The whole process can take less than 24 hours.